One of the most delicious fish. 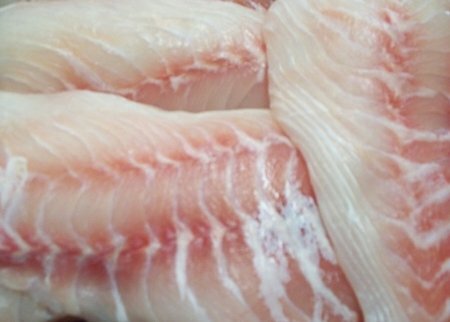 Red Emperor or Sea Perch have firm, flaky and sweet flesh. Very versatile, can be cooked steamed and pan fried, whole fish can be baked. The red emperor is a superb finfish to eat and its white, juicy flesh is delicious served either hot or cold. It is a stunning finfish for display, both for its bright red head and skin and its impressive size. It can be cooked whole (gilled and gutted) by baking, steaming, or deep frying, but is also ideal in fillet form for grilling, barbecuing, steaming and frying. If deep frying or grilling whole larger varieties, score the flesh first.